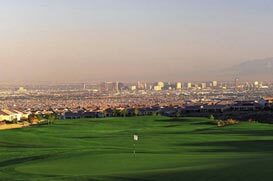 On the northwest side of Henderson and the southeast side of Las Vegas, lies the planned urban community of Green Valley, known for being one of the most popular and livable communities in the Henderson area. There is over 8,400 acres of well-kept homes, condos and townhomes on manicured tree lined streets. Residents are conveniently just 20 minutes from the Las Vegas Strip and 15 minutes away from the airport. Being part of the city of Henderson, Green Valley is surrounded by neighborhood parks and walking trails. There is also a vibrant mix of shops, gourmet restaurants, golf courses, and retail stores in proximity. The town is extremely family-oriented, giving residents a sense of community and high quality lifestyle. There are numerous activities for children, and great resources in town like outdoor amphitheaters, swim clubs, theaters, dance studios, hospitals, martial arts and baseball fields. The schools in Green Valley test among the highest in the school district, and Green Valley High School claimed the distinction of being one of the top ten high schools in the United States. It continues to win awards for both academics and athletics. Green Valley homes are affordable to many, and in a wide variety of modern luxury styles. Home prices can start at under $200,000 to upwards of $7 million. Green Valley’s sister community, Green Valley Ranch, lies against the Black Mountains at a higher elevation. The town is a newer version of Green Valley with over 1300 acres of beautiful trails, parks, restaurants, retail shops, walking paths, and family activities. The Henderson Community Center boosts a new amphitheater, library and an Olympic sized community pool. Residents can also enjoy the close proximity of fishing and boating at Lake Mead. Many different housing options are available throughout Green Valley Ranch. Single-family homes, condominiums, and townhouses are available in more than 20 different neighborhoods. Prices vary depending on the neighborhood you choose. Let us help you choose the right one.